On Monday, two speakers from Amnesty International came to visit Year 5 and 6. 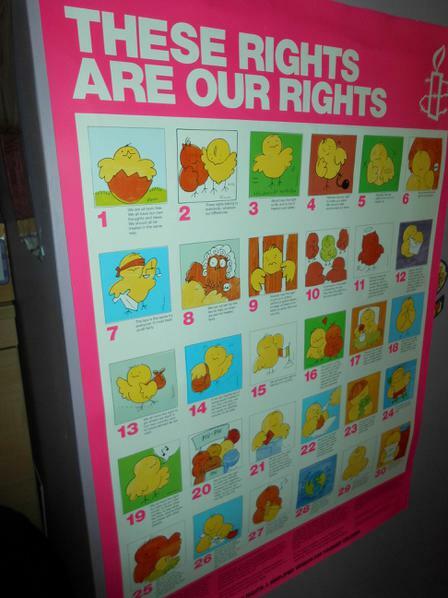 They explained about human rights to the children and shared some examples. 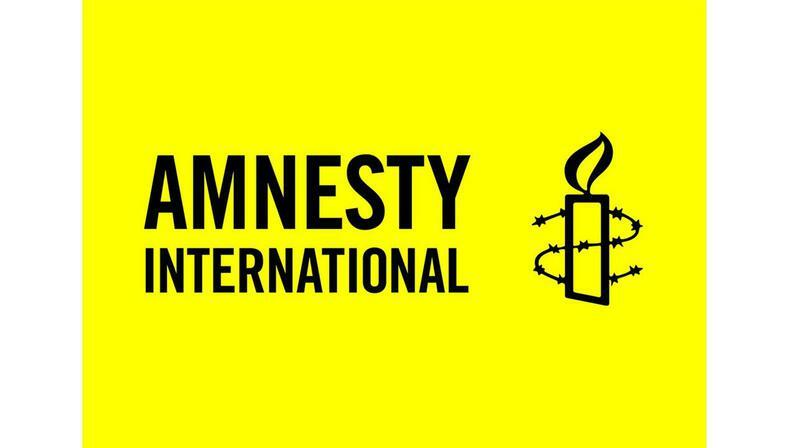 The children will use this background information in literacy in the coming weeks as they study cases of human rights abuses in different countries around the world as part of Amnesty’s Junior Urgent Action. They will use their persuasive language skills to try to convince foreign governments to change their practice. 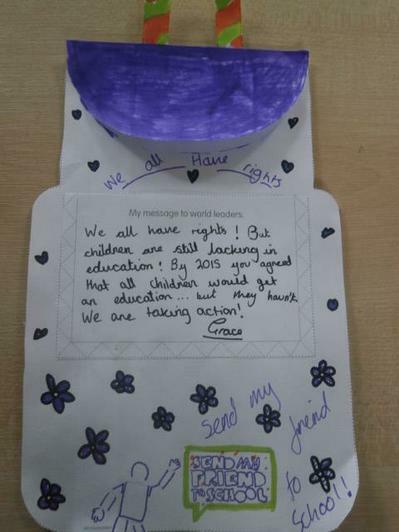 These cases give our pupils a very real context for honing their literacy skills while raising awareness of human rights and encouraging them to speak out against injustices. 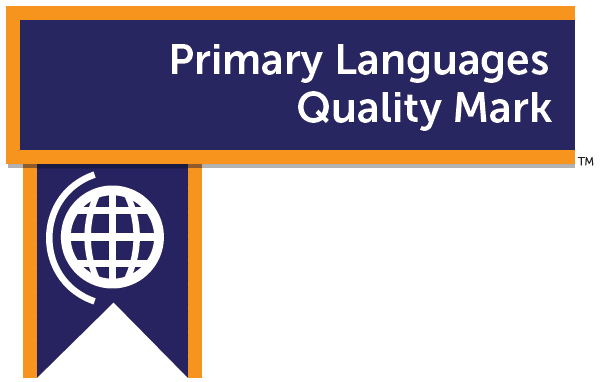 We have also been awarded the Primary Language Quality Mark at Gold Level. This is mainly due to our French curriculum, which had to undergo rigorous inspection. It met all the criteria with flying colours. 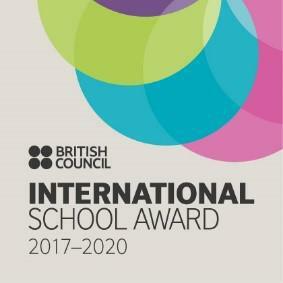 However, the quality mark recognised everything we do in terms of language learning in our school – our curriculum, language of the half term, our lunchtime Spanish Club and all our international work. We will obviously continue all our work in this area. If you have a particular area of expertise or would like to be involved in our work, please let us know. We would welcome your assistance. In Reception the children watched a film about where bananas come from. They looked at the Fairtrade symbol on the bananas. The children in Year 1 and 2 did some fantastic maths based on the price of fruit and other food items. 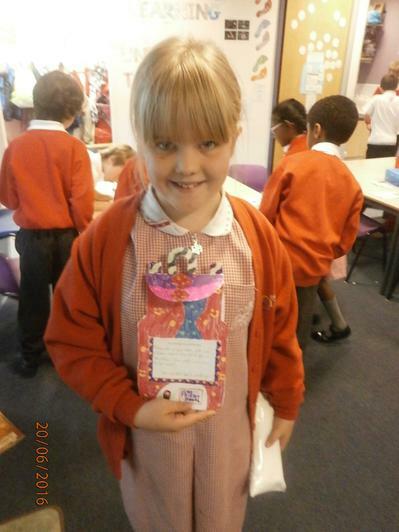 Year 2 also found out about sugar farmers in Africa in literacy and made some fruit kebabs. Tesco very kindly donated the fruit for this activity. KS2 found out about Fairtrade bananas. 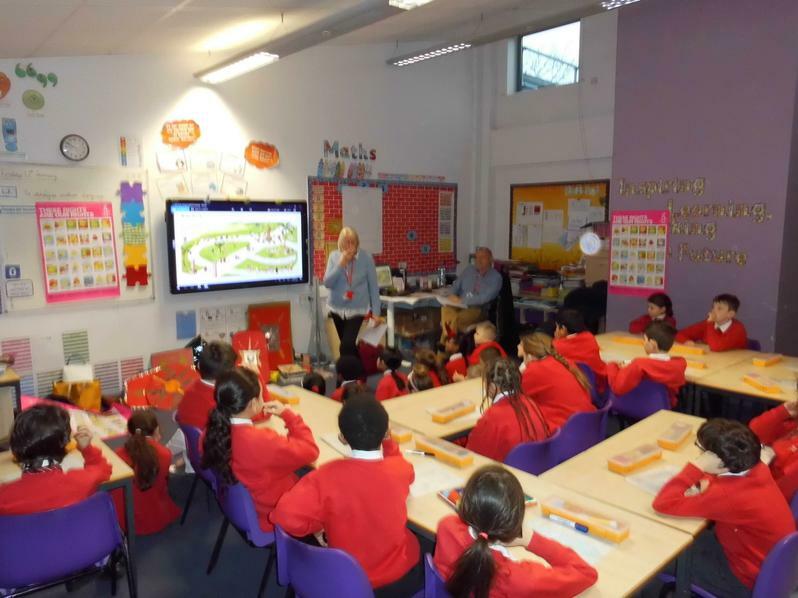 Some classes carried out a simulation game, with different groups assuming the role of banana workers, plantation owners, shippers, importers and then supermarkets in the UK. This activity sparked lots of discussion about what is or is not fair when the children saw how little the banana growers receive of the price of a banana. All KS2 classes then got to work on the Snack Attack Challenge. 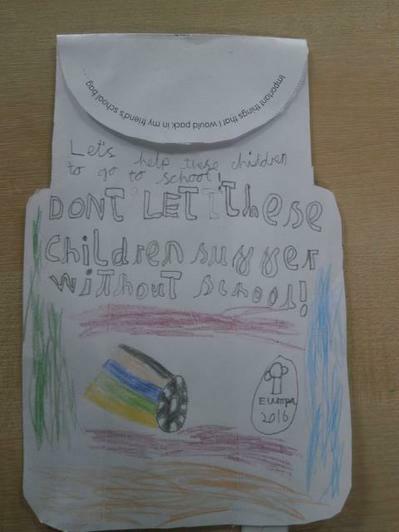 This is a national competition which requires the children to invent a new Fairtrade snack and design its packaging and promotional campaign. The children in Year 3 tasted some existing snacks and were surprised at how few Fairtrade versions there are in our supermarkets. 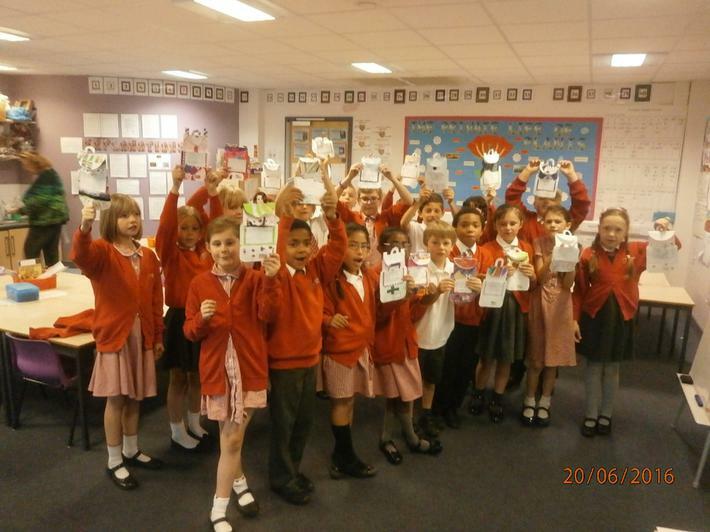 The children had to work well in a group for this challenge and use creative and presentation skills. By the end of the day, the best snack for each KS2 year group was decided. The overall winner was chosen in a special Dragons’ Den assembly after half term and this will be our school’s entry for the national competition. 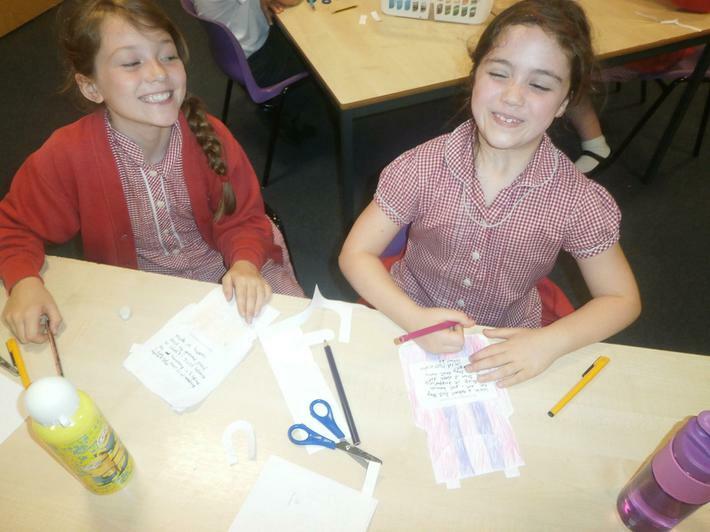 We hope the children enjoyed the fun activities about a very serious matter. 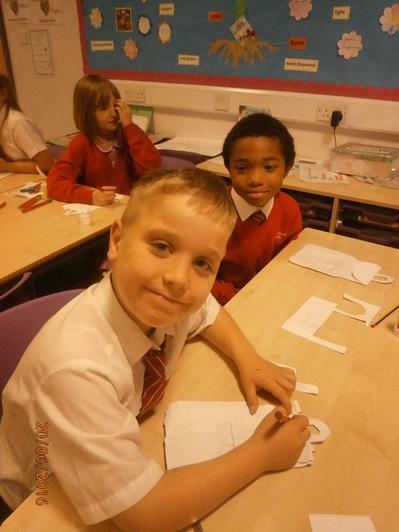 Leatherhead Trinity School has recently become an Expert Centre for the Global Learning Programme. We believe it is important to help our pupils to make sense of the world around them in order to best prepare them for the future. Please see our school events 2016-2017 page for photos. 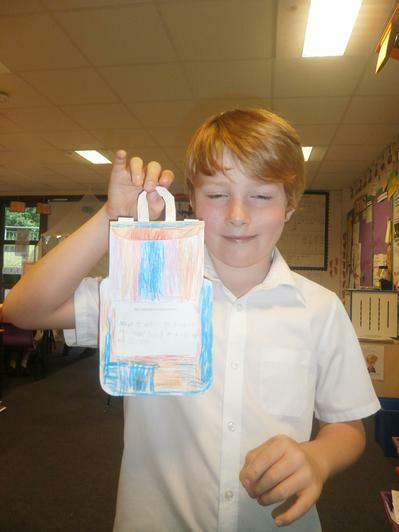 We were absolutely delighted to receive a large envelope from Uganda when we got back to school this term. 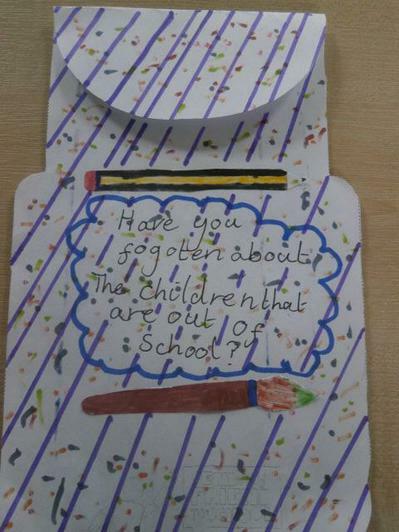 We had sent some questions to our link school, St Mauritz, last term and while we were on holiday the pupils there had been busy answering them. 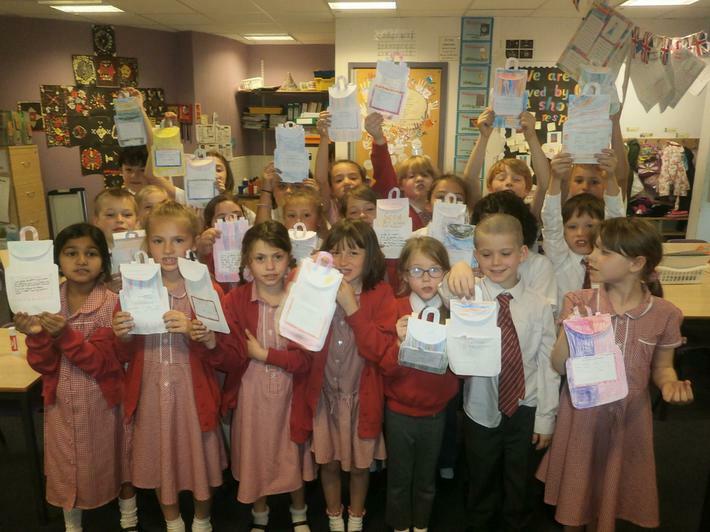 All classes from Year 1-6 have had the chance to look at the work they sent us. They were amazed at the beautiful handwriting and pictures the pupils in Uganda produced, as well as some of the answers! For example, the children do not have televisions and there is only one computer in the whole parish. The children at Leatherhead Trinity now think they are very fortunate as school in Uganda stars at 7.30am and finishes at 5pm. We thoroughly enjoyed reading their answers and they certainly generated lots of discussion. We have also started an eTwinning partnership with a small school in Brittany, France. The École Sainte Jeanne d’Arc is a very small school with only 2 classes. We will hopefully be in frequent touch with this school. They are particularly interested in sharing some art projects. We are sending each other some information about our schools this month. 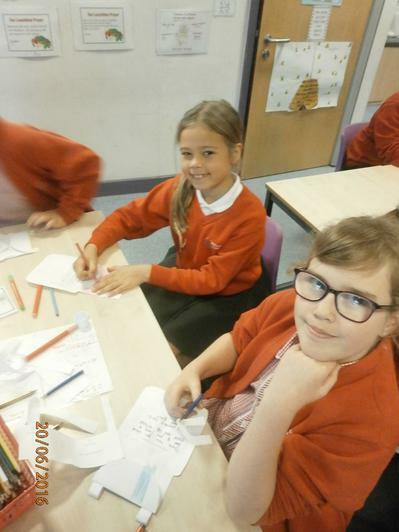 Some Year 5 girls have been helping to make posters about Leatherhead Trinity School which we will send next week. Many more classes will be involved in this partnership throughout the year. 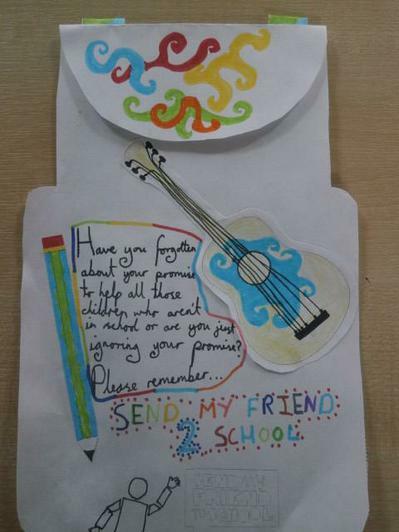 Year 6 have also started to communicate with a school outside Paris and a school in the Czech Republic. This three way partnership has ambitious plans for the year. We will let you know how we get on! 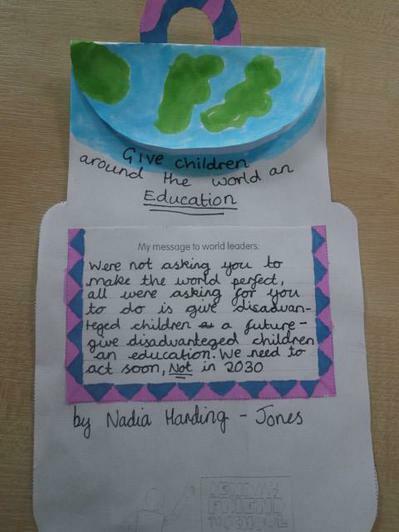 Our pupils from Year 1 to year 6 have been learning about the right of all children around the world to receive an education. Unfortunately, there are 124 million children globally who do not receive an education for a wide variety of reasons. 37 million of these do not go to school due to emergencies such as war, natural disasters and outbreaks of disease. These children are the particular focus of the 2016 Send My Friend to School campaign. Our government, along with many others, has promised to ensure that all children receive a free primary education by 2030. 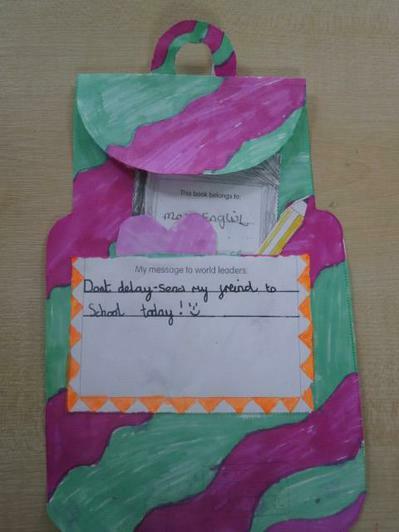 Our pupils have been making paper rucksacks with important messages for the government. 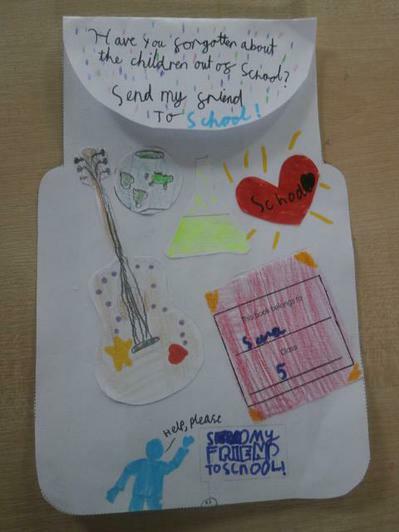 These rucksacks represent the journeys these children fleeing from emergencies, and therefore from education, have made as well as the voice of one of our pupils. 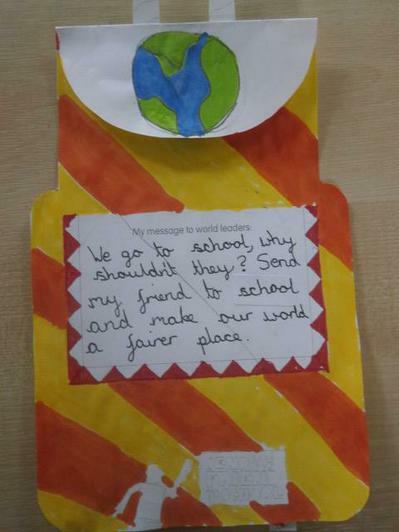 Through this campaign, we are joining over 4,000 schools across the UK in speaking out for those whose voices cannot be heard by reminding the government to make children’s education a priority. We are teaching our pupils about the responsibilities that go hand in hand with our rights and encouraging them to be active citizens. We are delighted that Sir Paul Beresford, a local MP, has agreed to come into assembly on Friday 1st July to receive these rucksacks and deliver them to David Cameron. 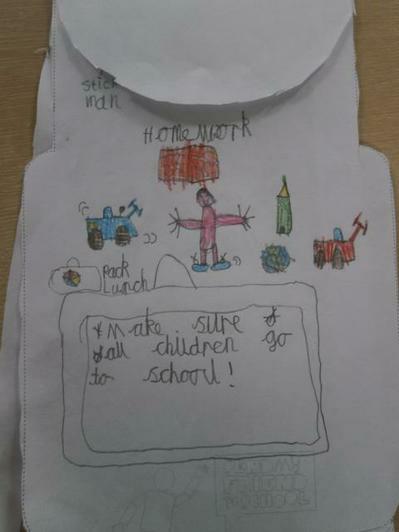 Please ask your children to tell you what they have been doing. 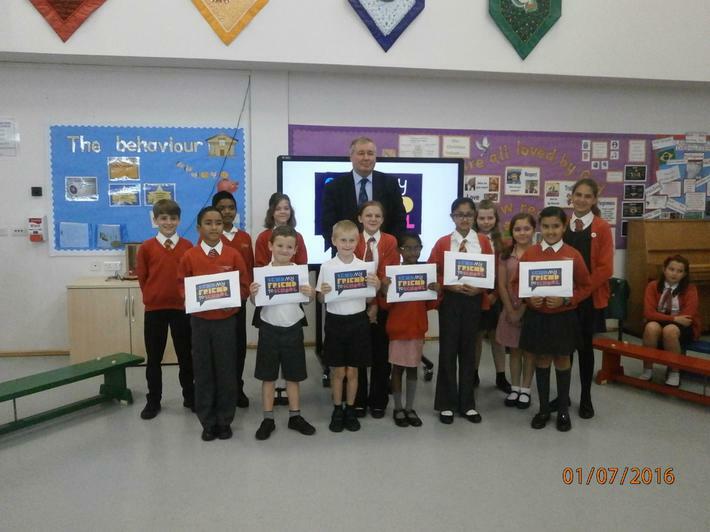 On 1st July our local MP, Sir Paul Beresford, came into school to receive the rucksacks we had made. 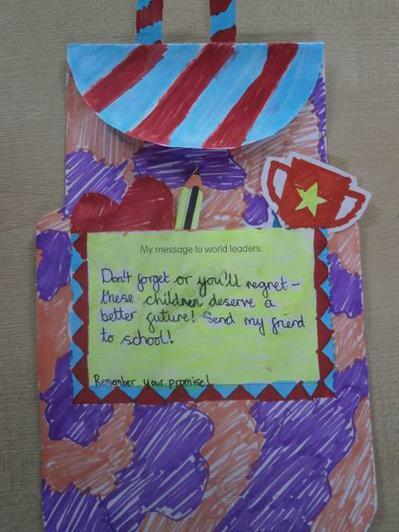 The assembly was led by some Year 6 pupils who are keen to speak out for others. 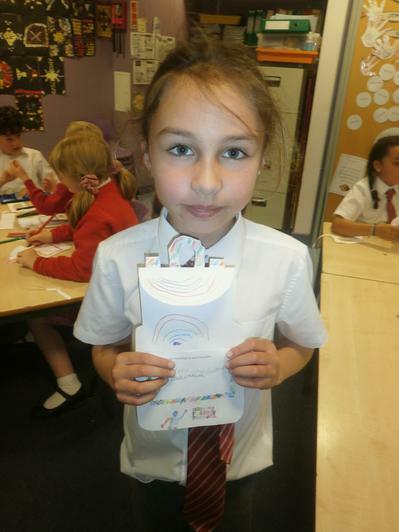 They spoke about Malala Yousafzai and how she was an inspiration to the rest of us. They asked Sir Paul about the government's commitment to ensuring the Global Goal of providing a primary education for all children is met by 2030. He assured us that the government would do all it could to ensure that this goal is met. He stressed that there is no easy solution and that we needed to work for world peace if we are ever going to change the situation. Instead of taking our rucksacks away, Sir Paul explained that he was going to arrange for some pupils to go to London to meet Justine Greening who is in charge of the Department for International Development. We will be able to see the House of Commons and deliver the rucksacks personally.